Premier Family Physicians would like to inform you of a recall of a particular batch of the prescription medication Flonase / Fluticasone Nasal Spray. 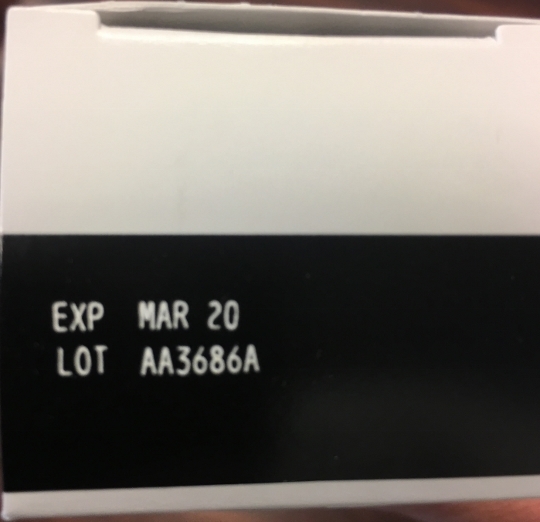 Please note that not every batch of this medication has been affected, only the batch with the LOT# NJ4501 and expiration date of July 2020. Please see below for more information regarding this recall and how to tell if you may have one of the affected bottles. ISSUE: The Fluticasone Propionate Nasal Spray 50 mcg per spray 120 Metered Sprays has been found to contain small glass particles. The glass particles could block the actuator and impact the functionality of the pump. The issue was discovered through a customer complaint. There is a potential for patients to be exposed to the glass particles and mechanical irritation cannot be ruled out. Local trauma to the nasal mucosa might occur with use of the defective product. To date, Apotex Corp. has not received any reports of adverse events related to recall. BACKGROUND: Fluticasone Propionate Nasal Spray is indicated for the treatment of seasonal and perennial allergic rhinitis and for the management of sinus pain and pressure associated with allergic rhinitis in patients 4 to 17 years of age. RECOMMENDATION: Patients with Lot# NJ4501 and an expiration date of July 2020 should stop use of the remaining units immediately. Customers should contact their healthcare provider if they have experienced any problems that may be related to taking or using this drug product. ADDITIONAL INFORMATION: Customers with questions regarding this recall can contact Apotex Corp. by phone-number 1-800-706-5575 (8:30am – 5:00pm, EST Monday thru Friday) or email address UScustomerservice@Apotex.com. The FDA has additional information in the link below. LOT INFORMATION: May be found on the box and bottle of the medication. See examples below (NOTICE: LOT #'s in the pictures below are used as examples and are not part of the recall).